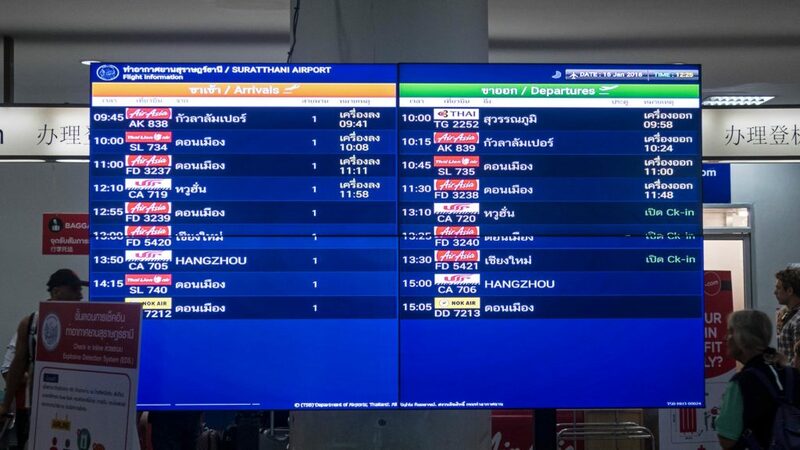 The first question when going on a holiday to Thailand or another country in Southeast Asia is usually about booking a flight. Of course, many elements do play a role. Should I book a direct flight or with a stopover? How long does the journey take? When is the best time to book a flight? Which airlines come into question? When booking a flight, there are many things you can or should pay attention to. The choice can be very overwhelming and the prices vary greatly, sometimes even depending on the day or season. 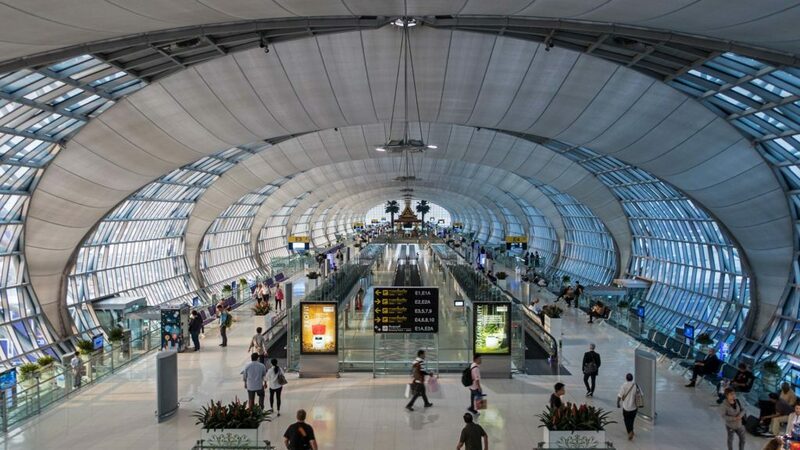 In order to give you some help, we have compiled all the things we pay attention to when booking a flight to Southeast Asia (and the rest of the world) in this article. Where do we book our flights? To compare airfares of various connections and airlines, as well as travel dates on our selected route, we always use Skyscanner, Momondo or Google Flights. On those websites you will get a good overview of the many possibilities and know which airline flies to which destination and when. Skyscanner and Momondo are searching many different booking sites for pricing. However, you should read a few reviews of those sites first. There are occasionally black sheep and supposedly cheap tickets can quickly cause problems. Therefore, we tend to select the websites of the airlines directly when booking a flight, even if it usually costs a few Euros more. Tip: So-called error fares are sometimes a good way to get extremely cheap flights. There are several blogs and websites that specialize in great flight and holiday deals, e.g. MyHolidayguru. There are many airlines that you can use from everywhere in the world. We usually fly from Hamburg (Germany), which makes the choice a lot smaller. But our personal favorite since many years is clearly Emirates. That means you will have to take two 6-7 hour flights to Thailand with a stopover in Dubai. 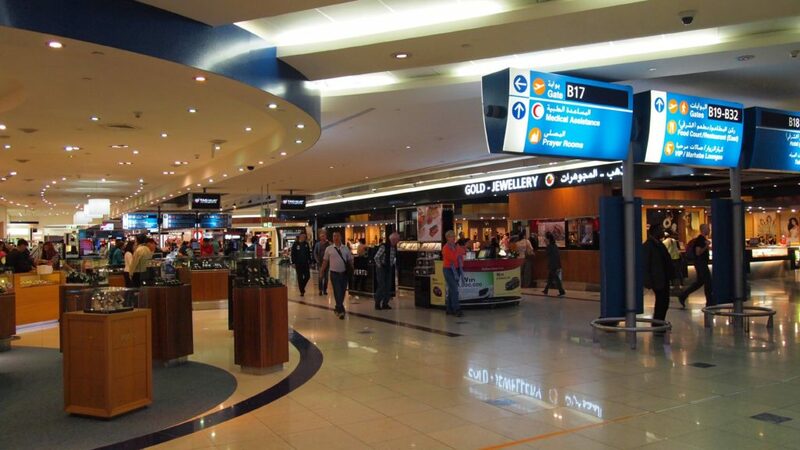 But that’s actually very pleasant because you can stretch your legs in Dubai, the service is excellent and if you are not flying during high season, Emirates also offers good prices. 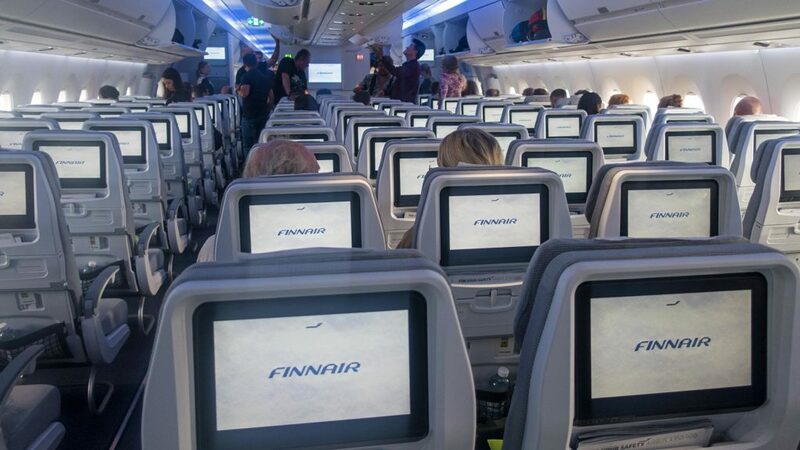 Our alternatives are Finnair via Helsinki and KLM via Amsterdam. Thai Airways is also great, but unfortunately they don’t fly from Hamburg and therefore they are not an option for us. 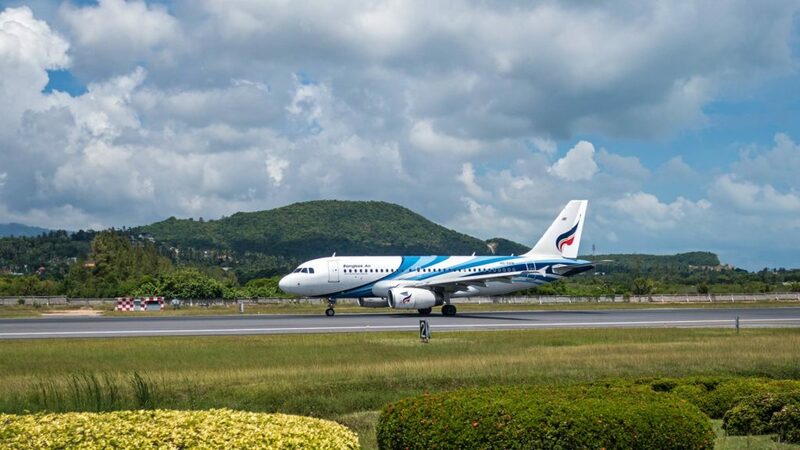 However, you should definitely consider them on a flight to Thailand if you live near one of the departure airports. 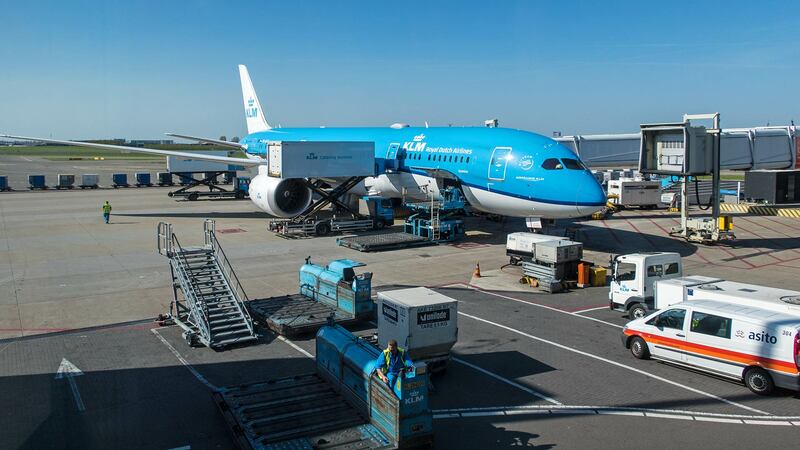 Another factor in choosing the airline is, of course, whether you prefer a direct flight or a stopover. That’s ultimately just a matter of taste. If it’s possible for you then it’s a great advantage to be flexible in your travel dates. Book a flight, for example during low season, instead of traveling during high season or holiday season. Choose a night flight instead of a flight in the middle of the day. Most of the time this can already make a difference in price. If you want to escape the winter, it may also make sense to put your flight directly on Christmas day or New Year’s Eve. Many people do not want to fly on these dates, which means that the airlines usually have large capacities open. That way you can buy cheap tickets, because empty seats on the airplane don’t do any good for the airline. The best way to get relatively cheap tickets when booking a flight is to be flexible on the time of booking. This means that you can choose the statistically best times to book flights. Domestic flights are statistically seen the cheapest 57 days prior to departure, while international air tickets are least expensive 171 days prior to departure. Of course, that does not always apply and you can get great deals shortly before departure. But most people like to plan their holidays in advance and it makes sense to pay attention to those details. Furthermore, it is best if you choose your departure day between Tuesday and Thursday. This is often cheaper than at the beginning of the week and on weekends. If you take a holiday, you could probably work on a Monday and Tuesday and then fly on Wednesday. That means you have a short working week and you are likely to get cheaper airline tickets. To book the flight itself, according to statistics, Tuesday offers are usually the best. On that day most airlines have the lowest prices of the week. Take a look at flights on a weekend, but if you can, try to book them the following week on a Tuesday. But again, exceptions always confirm the rule. Sometimes it can also make a price difference if you change your departure location. For example, if you come from the vicinity of Hamburg, like us, then it would also be a possibility to fly from Hanover or even Berlin. With this option, the selection of different airlines will increase. If you search for flights on Skyscanner or Momondo, you can easily see other nearby airports. That will give you an overview of which airports are still suitable for you. Some German airlines also offer so-called Rail & Fly Combi Tickets, so you can get to your departure airport by train without paying a large surcharge. Otherwise you can always take an intercity bus to get quite cheaply to the next big city. While many people like to travel with one way tickets on long-term trips, over the years we’ve learned that buying a round-trip ticket is mostly an advantage. At least on long-haul routes. Thus, you will pay only a fraction for the return ticket, while it would be a lot more expensive for two individual one way tickets, if you don’t choose just cheap airlines such as Norwegian Air or Eurowings. For many Asian airlines such as AirAsia, Lion Air, Cebu Pacific, Scoot, etc. it also applies that it makes no difference whether you book a one way or round-trip ticket. You can stay flexible and don’t have to commit yourself immediately. For a holiday obviously it makes sense to book a round-trip. But even if you spontaneously decide to stay longer, you can often change the date of return for an additional charge (about € 150). This charge should also play a role when choosing your airline, because some offer this service for a more expensive price than others. That always worked for us and we will continue to do so in the future. Tip: Even open jaw flights are a good option from time to time. Most flight search engines offer this function for their search. Try it out if you want to travel to several different countries. Starting from the first flight, earning miles at airlines can be worthwhile, because associations such as Oneworld or Star Alliance allow miles to be collected on various airlines and flights. Although other airlines, such as Emirates or AirAsia are not in these associations, they still offer their own programs. If you fly more often with them, then it’s definitely worth it. This way you can, for example, get benefits when booking flights or upgrades to a higher seating category. The opinions on the bonus programs are certainly split, but: We can only recommend this, because through the miles programs we have often been able to save something. That way we were able to redeem accumulated miles (e.g. at one or another Emirates flight) and reduce it even up to several hundred Euros. Of course, and this is the crucial point here, in the end this only pays off if you use the airlines more often. Important: Take the miles only as a bonus when you are sure you want to fly with this airline anyway. Don’t choose an airline based on how many miles or bonuses there are. That’s not the reason why you should choose a more expensive flight. Sometimes different prices appear on different devices or in different modes. As airlines sometimes increase their prices on many requests for the same flight route, it makes sense to try using your mobile phone (e.g. the airline app) and not using you computer or laptop. It can also help if you empty the cache in the browser (Chrome, Firefox etc.) before your flight search. Sometimes data is stored on the net and the websites of the airlines know exactly what you are looking for and could of course correct the prices slightly higher. In times of the internet, you can usually find better prices online than in a travel agency. However, it can still be an option consulting your local travel agent and asking a price for a specific route. Especially when booking flights online is new to you. That way you get a good reference point what the price should be and maybe you have found something much better. Direct contact with the airline can also help. Although I have often had the experience that I get offered more expensive prices via email or social media as online on the website. Anyway, it doesn’t hurt to ask! Do you have any other tips for booking a flight? Which elements plays a huge role when you book a flight? Leave us your feedback in the comments.